I met Cat Shaffer many, many years ago and our writing careers have sort of paralleled each other over time. I remember an RWA conference many years ago, where we were waiting for agent appointments, lamenting over the fact that either a. ) our careers seemed to have stalled, or b) we were not where we wanted to be at this point in our writing careers. We both said, "we need a five year plan." That was way past five years ago and today, Cat is a multi-published author writing under two pen names and for two publishers (let's not forget she's also a managing newspaper editor and writes tons of non-fiction on a regular basis). We still talk about that day years ago and our five year plans, and how far we have come. Elise Drummond never forgot her first love—and never expected to learn via the grapevine that he was back in Brookville and living with her mother. Sam McCade had broken her heart, and she wasn’t about to let him destroy her mother’s as well. A quick trip back to Kentucky to lay down the law and she could head back to the safe life she’d built for herself in Kansas City. When Sam McCade went “on the run” in the middle of the night to save his sister from her abusive husband, there was only one person he could trust to help them, Hannah Drummond. He expected the local gossips to have a field day with his return to Brookville, but he never dreamed Elise would roll into town to check out the situation for herself. 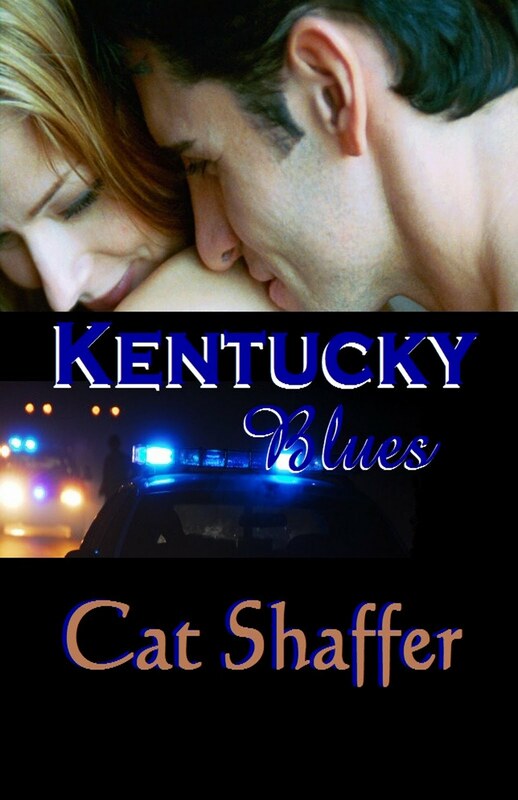 Author Bio: Cat Shaffer is a native Buckeye who saw the light and moved to Kentucky over 20 years ago. Able to say "Louisville" like a native, she adores living in the land of beautiful horses and fast women…no, wait, it goes the other way around! Away from the keyboard, she's a mother and grandmother, a Red Cross volunteer, and leads her church choir. She lives with a big Sheltie and a gray tabby who keep her humble by reminding her of her place as their servant.